“Australia is facing its most challenging time in electricity markets. High prices and bills have placed enormous strain on household budgets and business viability. The current situation is unacceptable and unsustainable. It eventually goes on to make 56 suggestions on how to reduce the price of grid electricity. Recommendation number 24 is to eliminate the Small-scale Renewable Energy Scheme (SRES) by 2021. This is commonly known as the “solar rebate” and lowers the cost of rooftop solar for households. The ACCC makes this recommendation even though it will reduce household electricity bills in the short term by only 1% and is likely increase them over the longer term. Interestingly, the ACCC doesn’t recommend the one step that should result in the largest reduction in electricity prices. It’s no secret what it is, although there are those who would rather not admit it. This is to remove most of the changes resulting from electricity privatisation over the past two decades and return control over transmission, distribution, and retailing to a single body in each state. If you need convincing that electricity privatisation in Australia has been a disaster then I’ll let you know that over the past 10 years, after adjusting for inflation, there has been a 56% increase in residential electricity prices. That’s pretty strong evidence. This arguably means that giving the advice “dismantle the NEM” lies outside the scope of the remit given to them by the Treasurer. 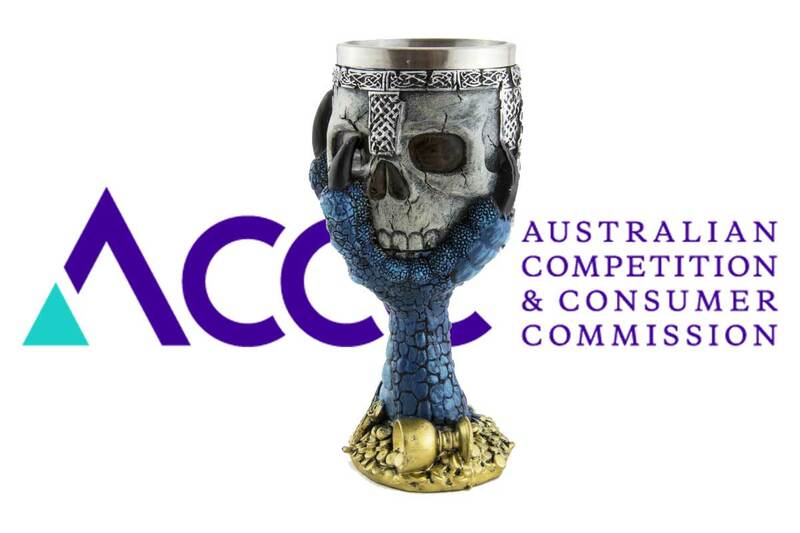 But I think the ACCC still should have mentioned it as an option because you can’t rely on politicians knowing these sorts of things. They are usually big picture people who are far too busy running the country to focus on the details of running a country. Of the 56 recommendations made in the report many are good if you assume the NEM is going to be kept around rather than being taken out the back and shot, which seems the kindest thing to do for all involved1. But others make no sense at all. One I definitely put into the “no sense at all” basket is Recommendation 24 calling for the abolition of the SRES. The cost of the SRES only comes to 1% of household electricity bills and is already being phased out. The SRES probably lowers electricity prices for consumers by more than it costs. Even without the advantage of lowering electricity prices, the SRES disadvantages poorer households without solar far less than other charges. It is not being replaced by something better. The playing field is not level as fossil fuel generators receive hidden subsidies. The column on the far right of the graph is for the NEM or National Electricity Market. This consists of Queensland, NSW, Victoria, Tasmania, and South Australia. The annual environmental costs added to electricity bills in these states averages $106. The SRES is 17% of this which is $18 a year. The ACCC report says the average annual residential electricity bill in the NEM is $1,636. This means the $18 a year cost of the SRES is only 1.1% of the household electricity bills. The SRES is already being gradually phased out and will end on December 31st 2030. While the amount of rooftop solar installed each year may increase, the reduction in price the SRES provides for each kilowatt of solar panels installed will decline each year. In addition to lowering electricity bills for households that have it, rooftop solar lowers the cost of electricity for everyone by helping keep a lid on wholesale electricity prices. We can be certain this effect is real on account of how much grid generators hate rooftop solar. This benefit may save consumers over twice the cost of the SRES. In addition, rooftop solar can help lower transmission costs. So if something that is being gradually reduced anyway is saving consumers more than it costs, it makes no sense at all to get rid of it on the grounds that it will save consumers money. One argument I’ve heard for eliminating the SRES is that it is unfair on the poor who often rent and so can’t install solar power of their own even if they could afford it. But if the benefit from reduced electricity prices outweighs its costs then they are coming out ahead. Also, because the cost of the SRES is, technically at least, applied to the per kilowatt-hour charge for electricity and poor people pay a larger portion of their electricity bills in fixed supply charges than the well off, the portion of their electricity bills that goes towards paying for the SRES should be less than average. The argument that the SRES is bad for the poor has always struck me as disingenuous as I have only ever heard it from people who have never given a rat’s arse that Australia’s electricity sector has always screwed the poor by design. The fixed supply charges on electricity bills mean it is possible for a poor person who is very careful with their electricity use to — in extreme cases — end up paying twice as much for each kilowatt-hour they use as a well off, wasteful, neighbour. But somehow people who have managed to overlook this for decades suddenly transform into valiant defenders of the poor when a solar scheme that increases their electricity bills by 1% is involved. If the SRES was being replaced with something better that clearly had a greater environmental benefit, then we could say out with the old and in with the new. But it’s not. Not one of the 56 recommendations in the ACCC report involves pollution or greenhouse gas emissions. If this doesn’t sound bizarre to you I’ll point out that it is now the 21st century and Australia has international commitments to reduce greenhouse gas emissions. If we do nothing we risk ending up in a future where China will place trade sanctions against us for being a major polluter. Without the SRES there will be next to no support for renewable energy at the national level. In 2020 the subsidy for large scale renewable generation such as wind and solar farms is likely to fall to under one-third what it is now and investment in large-scale projects is expected to fall off a cliff. If the SRES is removed as the ACCC suggests, then investment in small scale solar power will also plunge. The purpose of the SRES was to lower the cost of rooftop solar and build a solar installation industry. It has been successful in helping achieve both goals. Rooftop solar now costs a fraction what it did just seven years ago and — while it’s not quite perfect — Australia’s rooftop solar industry is the best and most cost effective in the world. But snatching away the SRES will destroy a good part of this hard work for no good reason. At the moment it is likely there are over 7,000 people working in the solar power installation industry. Thousands of them will be at risk of losing their jobs. The economic disruption will be increased because if Recommendation 24 is adopted there will be a huge rush on solar installations as people try to beat the price increase. There will be a enormous boom followed by a massive bust. Fossil fuel generators don’t have to pay the health costs that result from their pollution. They don’t have to pay to remove carbon dioxide and other greenhouse gases they release into the atmosphere. Pollution from burning coal does have real health effects and the amount of additional greenhouse gas that can be safely added to the atmosphere is zero. These are real costs and while they don’t appear on our electricity bills, we are still paying for them through reduced quality of life and a less stable climate. It makes no sense for the ACCC to ignore these costs when determining what benefits consumers. If we lived on planet sensible we would require polluters and greenhouse gas emitters to pay for the full cost of their emissions. But at the moment I don’t think we’re even in the same galaxy as planet sensible. In the absence of leadership that cares more about a bright future for Australia than a smokey, haze filled past; we should not allow the Coalition to take away the one significant remaining support for clean energy the country will still have by the end of next year. We should fight hoof and nail to keep the SRES and not let it be removed unless it is replaced with something superior because losing it will cost lives. Even if I’m completely mistaken about rooftop solar power lowering wholesale electricity prices (I’m not) and the SRES does result in a net 1% increase in residential electricity bills, we are one of the richest countries in the world. Australia has never been richer than it is now. We can afford to spend a little bit of money to improve our heath, protect the environment, and save a life or two. The climate change problem of emissions for Australia is vexed. Unless Europe, the US, China and India are totally commited to phasing out coal climate change will continue with ultimately disastrous effects including for much of our broad acre crops, sheep and cattle. In such a situation Australia can reasonably choose to sell coal to gain income to start abatement planning and works for low lying areas and rural adjustment. But we ought, as a rich nation with very high per capita historical emissions be towards the forefront of adjustment of our economy so as not to get caught out if there is a sesimic shift in the policies of the major emitters (gross and per capita). As to whether coal has net health costs also requires more detailed analysis. Are there substantial health care cost savings because the people who die from coal pollution cause massive savings on dementia care and nursing homes for frail aged, even after allowing for other care? These are not arguments that Australia ought build coal fired power stations, I do not believe we should because the economic life of such assets is too long to justify the economic risk. The local intermittency problems are being overcome through geographically diverse renewables, increasing battery storage, pumped hydro, energy efficiency, falling costs of buffer capacity andincreasing capacity of interconnectedness of major consumption areas between states. 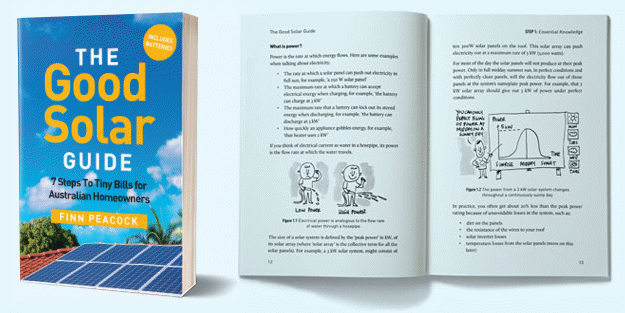 The famous duck curve will get chewed up as people change their habits to use more electricity when the sun is shining and when the afternoon sea breezes kick in on the coast. Pool pumps will move from shoulder and off peak in the night time hours to the middle of the day, washing machines and dryers will be used during the middle of the day rather than at shoulder times or off peak, batteries will become more economically efficient and enable shifting of daylight renewable power to the 4pm to 9pm peak period. Wow. You were sounding sane up until that point buddy. First of all, you’re literally saying that we might save some money if our grandparents die from increases in carbon emissions, and implying that that’s a good thing, this is enough to dismiss your entire argument straight off the bat. Secondly, there’s no pollution related illnesses that only affect old people, if it’s enough to make the elderly sick than it’s enough to make kids sick, and even working-aged people (apparently that’s all you care about). So you’re saying if the air pollution has just the perfect amount of toxicity to euthanise old people, but not affect wage slaves, kids, and the rest of the environment than fossil fuels are in fact beneficial to society? Lmao ok thanks Hitler. Now all the Coalition has to do is figure out how coal companies can specifically target disabled people with their emissions as well. You were sounding half-sane up until that point you know, are you an LNP policy advisor by any chance? It is disappointing that the AMA and indivual doctors are not speaking out more about the appreciable early deaths attributable to pollution from coal fired generators (see reports on effects of closure of Hazelwood power station) and vehicle pollution – diesel, in particular. I drive a Citroen diesel car and they have an additive that automatically goes into the fuel tank to help stop a lot of those nasties. Diesels like Toyota, Mitsubishi, Hyundai, Mazda, Audi, Nissan and Volkswagen do not use an additive. Hi Ronald,I really enjoyed your analysis. I noticed that the FiT was included. Is this the total value/cost of all payments including mine at the meagre 12c/kWh? Or is it just those on the old rates? It seems a bit rich to include my 12c/kWh as a subsidy when it is onsold for 30c/kWh. I saw a figure elsewhere that the SRES cost the average consumer 40c a day. Is this the cost of the entire “stack” or was something else slid into that figure? I try to push back on some of the outlandish claims from the coal lobby and I do try and give accurate information. The FiT isn’t included as part of the Small-scale Renewable Energy Scheme (SRES). The feed-in tariff most rooftop solar now receives is no subsidy but payment for electrical energy provided to the grid. And since it doesn’t include compensation for a number of benefits it provides to the grid most feed-in tariffs are an underpayment. Victoria incorporates a portion of the additional benefit into their feed-in tariff and I’d like to see other states do the same. The cost of 40 cents a day you saw may have included other things but definitely wasn’t just the SRES. According to the ACCC’s figues it comes to 5 cents a day. If we include all what gets called “environmental levies” including large scale renewables, old high feed-in tariffs still in effect, varies state charges, and the SRES it comes to an average of 29 cents a day for the average household in the National Electricity Market. As one very much in favour of renewable energy, at a reasonable cost, regarding the “planet sensible” paragraph in the article which suggests the polluters should bear the full costs of their pollution. If this were so I am sure, as our grid is I think around 70% coal fired at present that I would have to buy a generator and solar panels at any cost just to avoid further unaffordable grid costs being passed on. I think there are many age pensioners and low fixed income users out there that don’t give a rats about the small amount of pollution their use causes and just need affordable reliable grid power so we can retain what’s left of steel and aluminium smelting and some manufacturing jobs for our kids. The other thing that is never mentioned about fossil fuel generators is the free oxygen they consume. For every tonne of carbon dioxide produced, about 0.7 tonnes of oxygen (O2) is consumed (using atomic weight ratios). Global energy-related CO2 emissions reached an historic high of 32.5Gt in 2017. That equates to about 23Gt of oxygen consumed (i.e. 23,000,000,000 tonnes). Assuming an average tree generates about 0.12t/year of oxygen, then coal generation is consuming the oxygen production of nearly 192 billion trees each year. Who pays to for that? The solar rebates were a middle class sop that everyone pays so that the affluent can get cheaper electricity bills. Frankly it’s immoral. I could have easily installed free solar panel on my house but refused out of principle. Good on those that decided to grab a good deal while it was going but please don’t complain when all those households without solar panels start asking exactly why we are still paying our money to subsidise your lower power bills. There sre many instances where subsidies are provided to promote a particular outcome. The solar subsidies are all about helping to save our planet from excessive global warming. I am subsidising your health insurance (if you have it) through the health insurance rebate. Is that OK? I am subsidising your family income through the Family Tax Benefit and Family Day Care supplements. Is that OK? I am subsidising your public transport through my rates. Is that OK? Subsidising solar panels is one of the few initiatives over the last decade that may actually help pass on to our descendants a planet that can continue to sustain humans. Sounds like an OK idea to me! I work as a Sales manager for a decent sized solar company and I cannot wait for both the STCs and the FIT to go. These two things are responsible for so much ignorance that gets consumers frothing at the mouth. The hippies, do gooders and ludicrously unrealistic will bleat and moan about the pro coal bent of the government. But only coal can both provide both the volume (at a decent price) and the volume of electricity required. For the short to mid term future. Losing the STCs will not remove any barriers to entry. Solar is dirt cheap now. The worst thing is it will delay the mythical ROI by a few years. Harden up hippies! If the rebate is to be taken away then the current electricity charged per 1kw usage is about 28cents than the price to supply to grid from solar should be increased from 8cents to 28cents. The ACCC must ensure that if the costs charged by supplier for each KW increases then the tariff for buying back solar to grid should be at the same price.